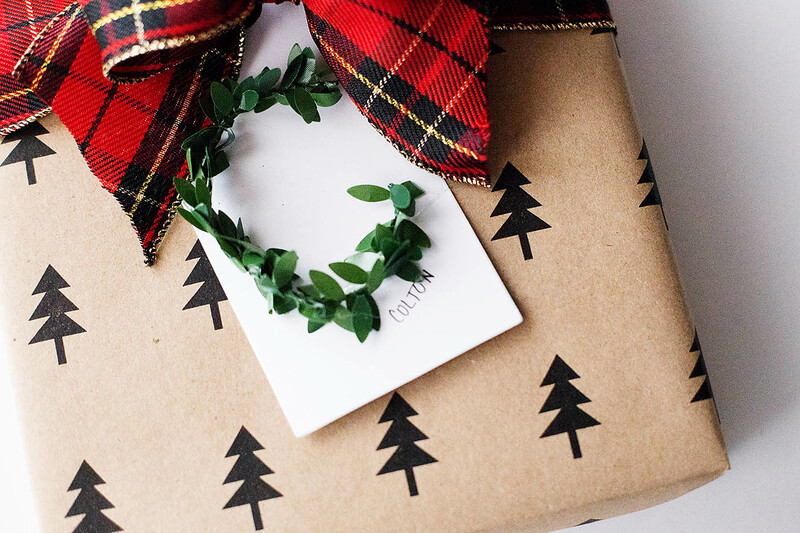 I don’t know what it is about this year but I just have the itch to get little bits of crafting in each day. 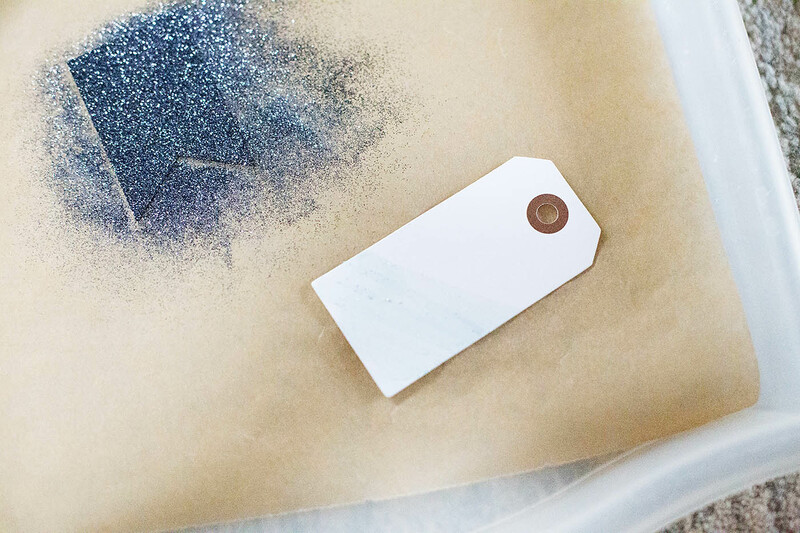 Most days only allow for truly a LITTLE bit so these semi-homemade gift tags are perfect if you’re short on time, have kids that want to be involved or just aren’t really that crafty. 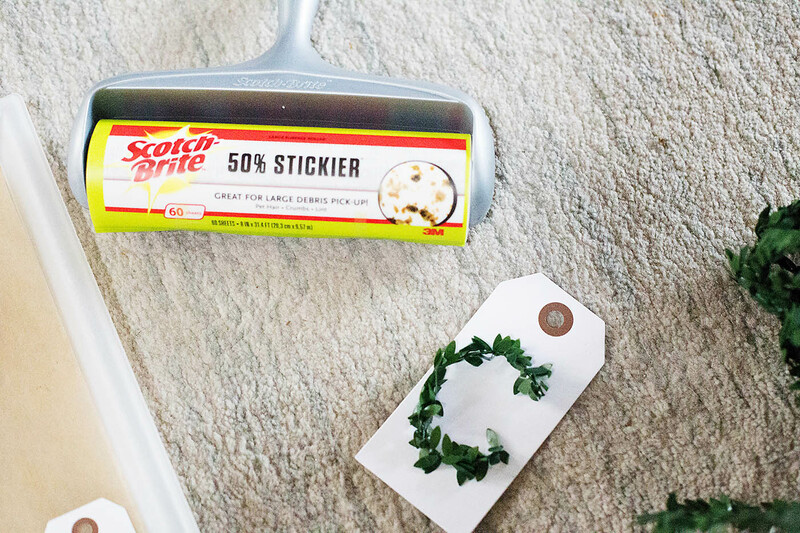 If you’re like me and like to craft late at night you’ll want to keep a Scotch-Brite™ 50% Stickier Lint Roller on hand for super simple (and quiet) cleanup. 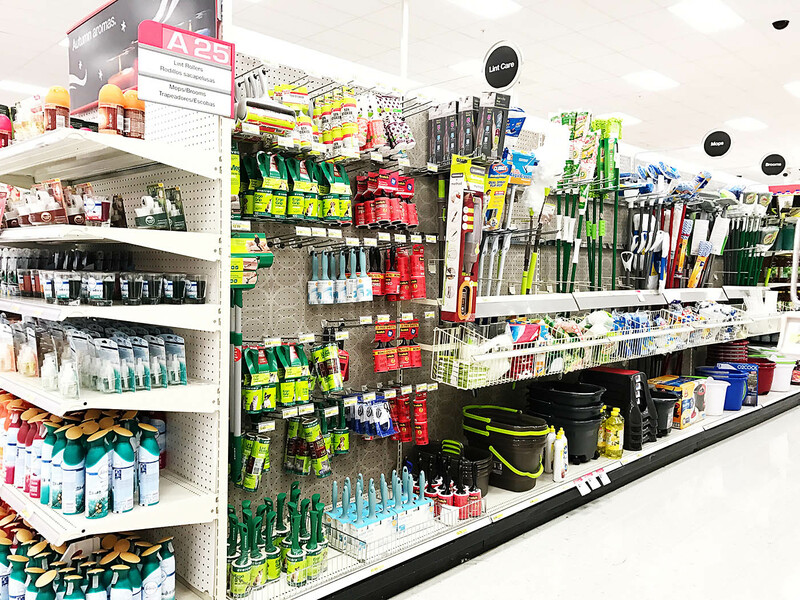 It seems like every time I take a trip to Target I find more cute little bits and pieces that I just can’t resist! 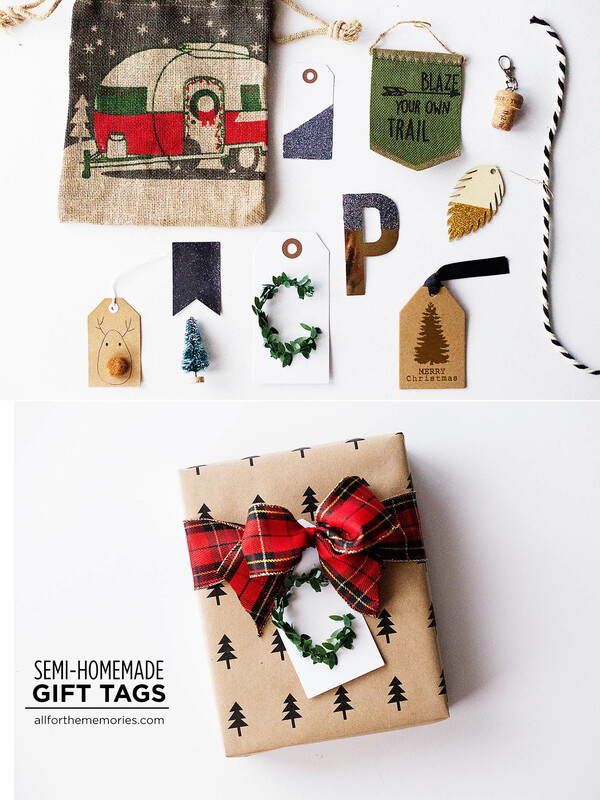 I’ve been picking up small gift tags or items that can be made into gift tags since I started seeing them on shelves. I love that I found some cute ones that look like I could have easily made them to mix in with the ones I did actually craft up. 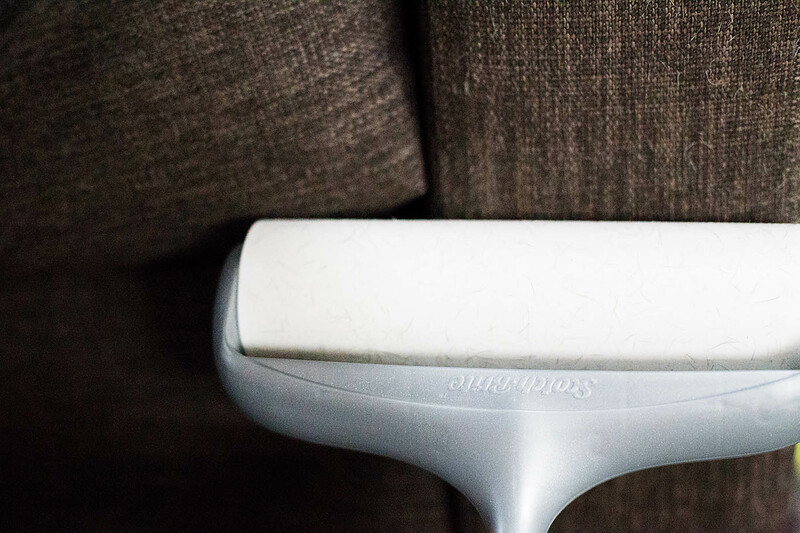 On the last trip in the boys actually spotted this larger 8″ Scotch-Brite lint roller and wanted it right away for their chores. I grabbed an extra one for my bedroom as well. Colton loves to craft with me every now and then so I pulled out some tags the other night when we were watching a movie and we sat on the floor making up a few to add to our Christmas stash. He loved this dark glitter so that’s what we used. 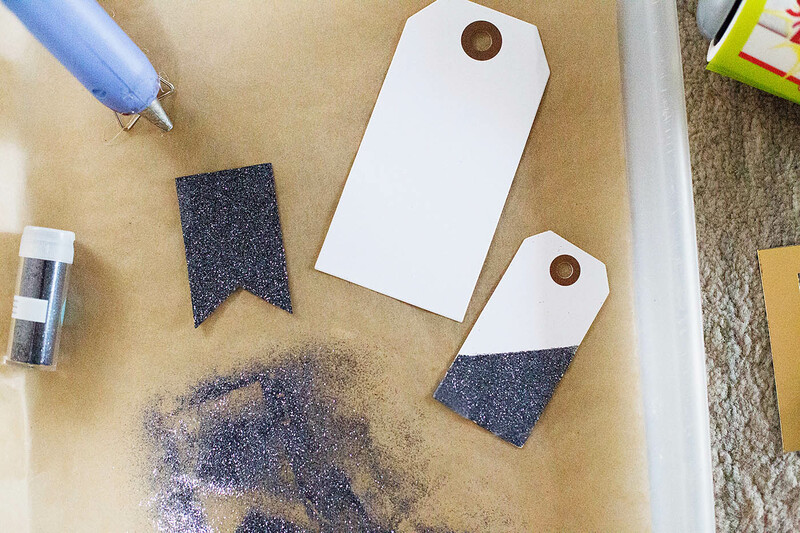 We added some to the back of a chalkboard sticker which made one side glittery and the other side can still be used to write on with chalk. 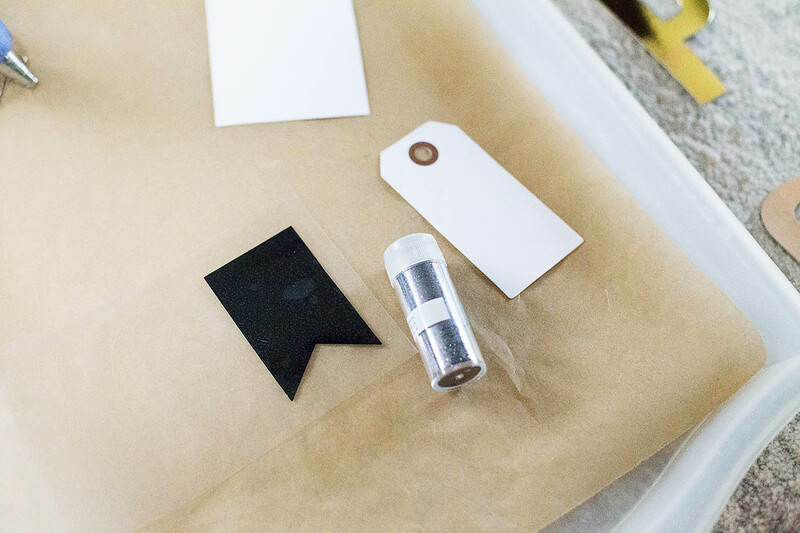 An adhesive roller is perfect for making straight lines for glitter, just make sure you completely cover the surface you’re trying to cover and you’re good to go! 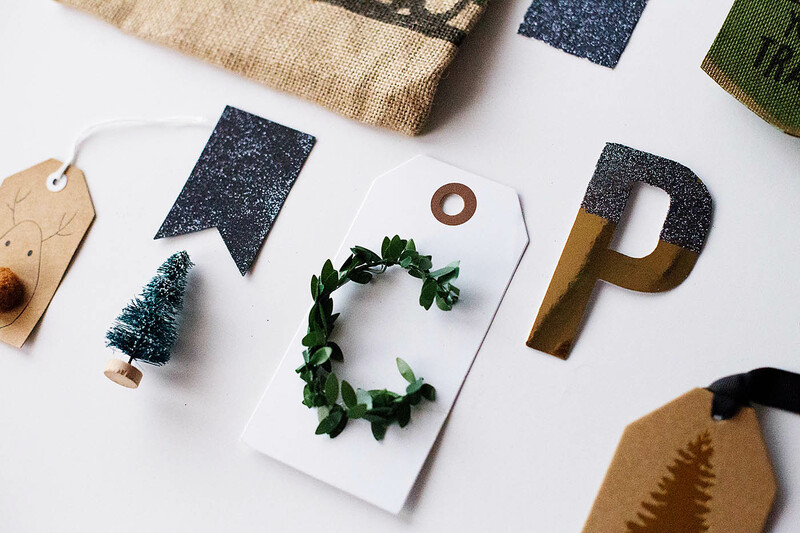 My favorite is making letters with this garland, just snip a piece off and hot glue onto a tag! 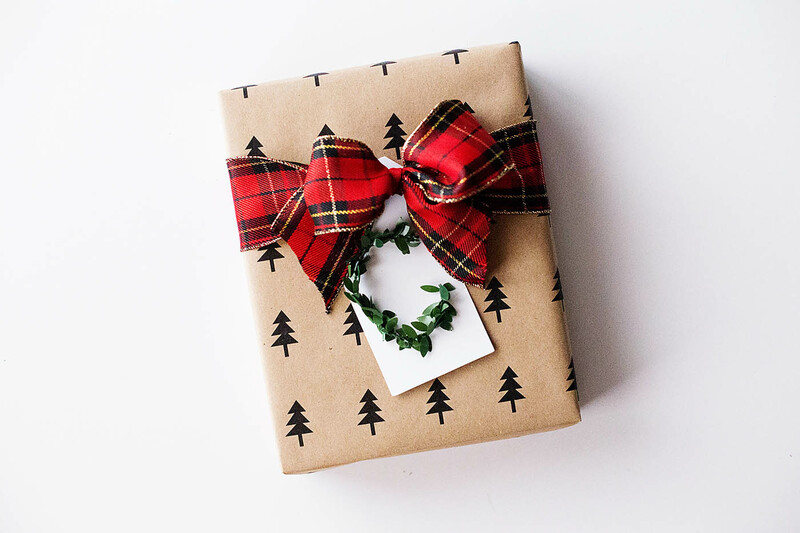 Sitting on the floor while watching a movie is my favorite way to craft and scrapbook this time of year, but it does tend to make a bit of a mess with paper clippings, glitter, hot glue strings etc. 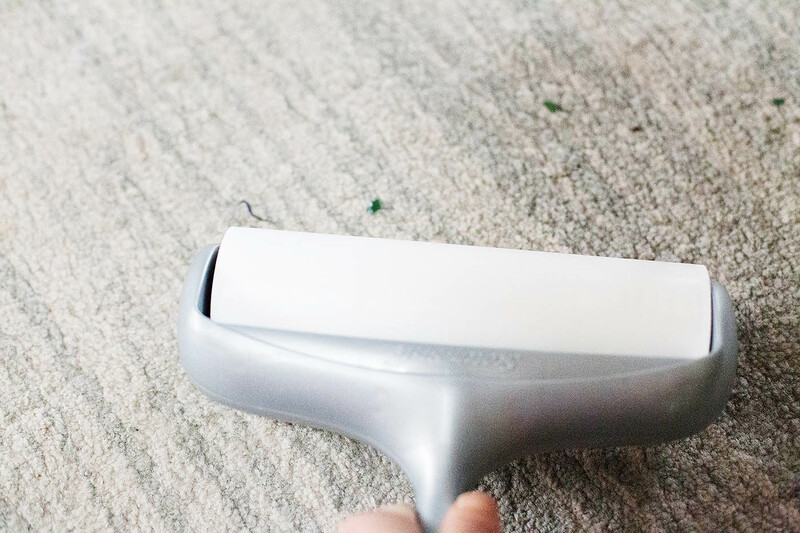 And it’s not always a great time to pull out the vacuum so I’m always reaching for my lint roller! 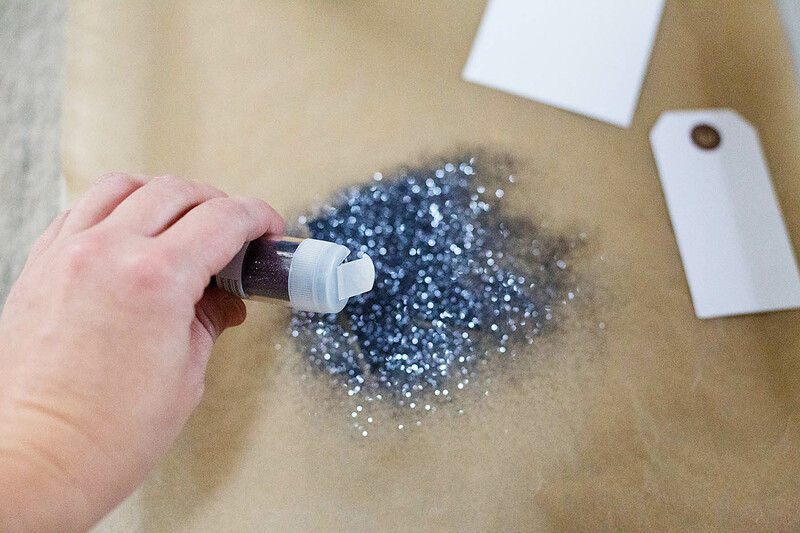 I LOVE how easy this new larger one is to very quickly pick up a mess – especially glitter! It’s 50% stickier too so can pick up even more. The boys wanted it to pick up dog hair on the couch since it’s part of their regular chores. I love those dogs to death but man does their hair end up everywhere! 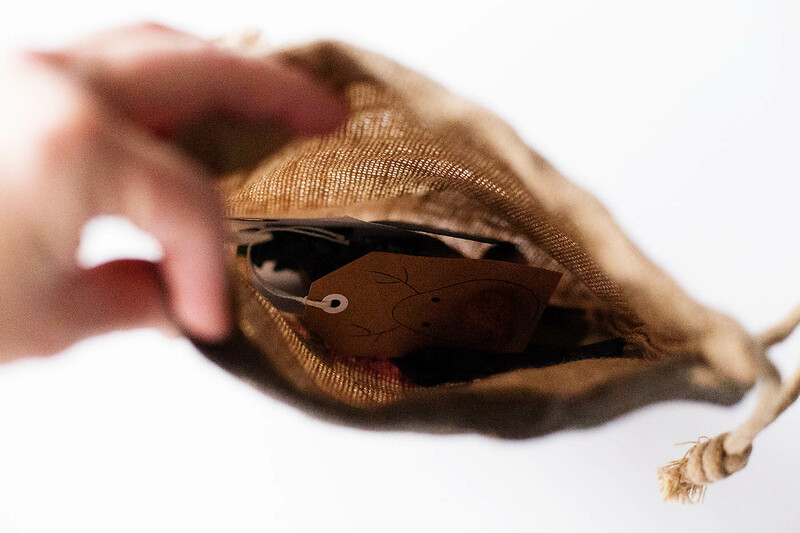 makeup bag – it’s great at picking up lots of that powdery makeup! I have to say, making cleanup quick and easy does make me more willing to do a quick craft here and there. 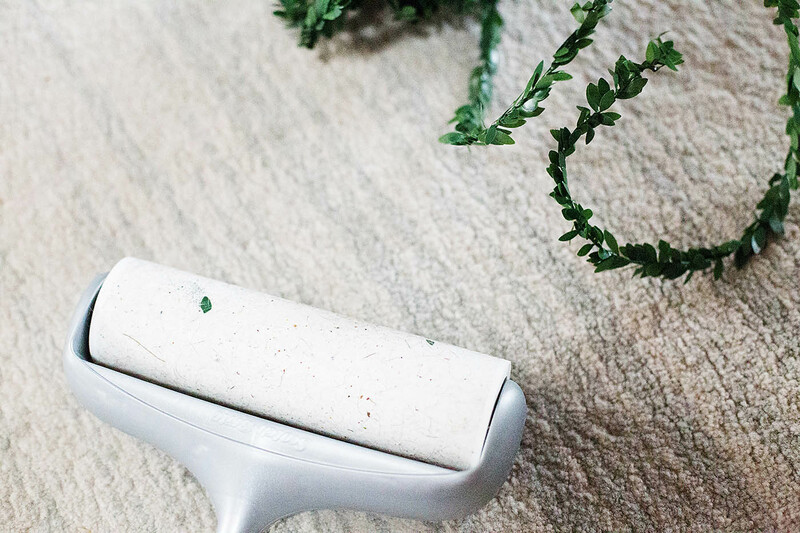 The quickest way my house gets messy is from doing crafts or projects that can’t be cleaned up right away so having lint rollers in all the rooms in the house definitely makes clean up a breeze! 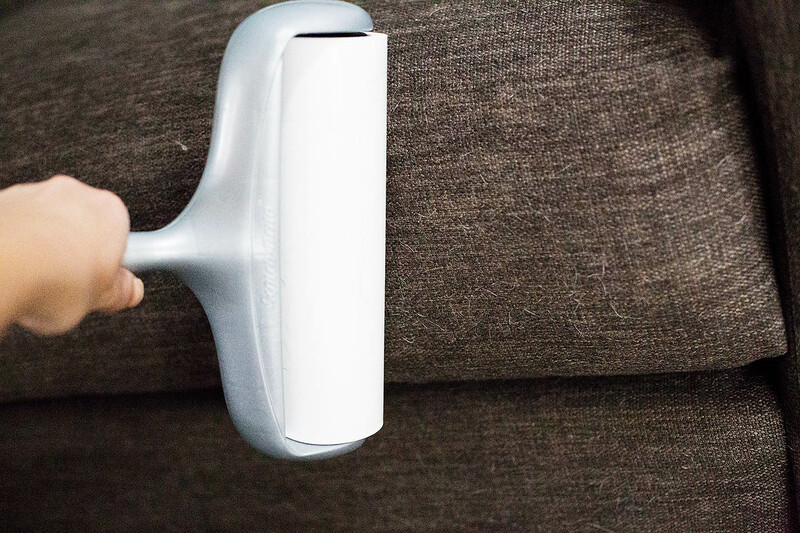 How do you use lint rollers? 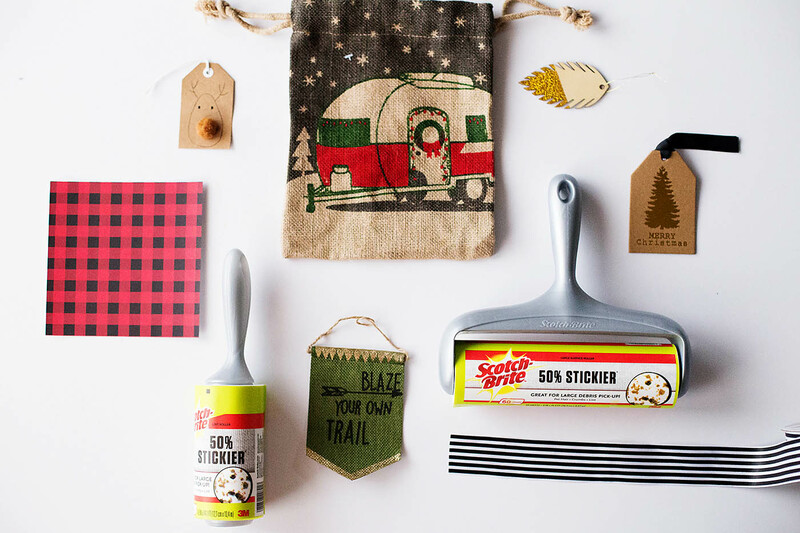 Have you ever used them to clean up a crafty mess? 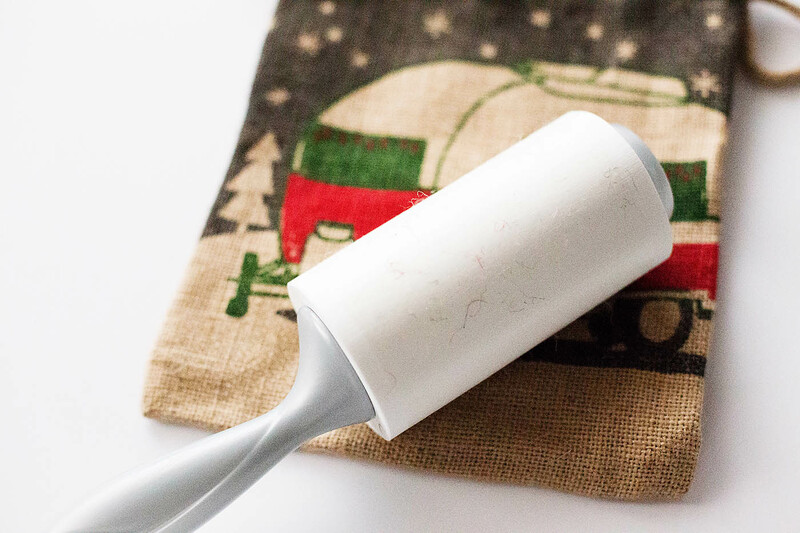 You can find some more inspiration and ways to use lint rollers here. Don’t forget to check the Cartwheel app on your next Target run they have a great offer for 15% Off Scotch-Brite 50% Stickier Lint Roller ( from 11/20-11/26). 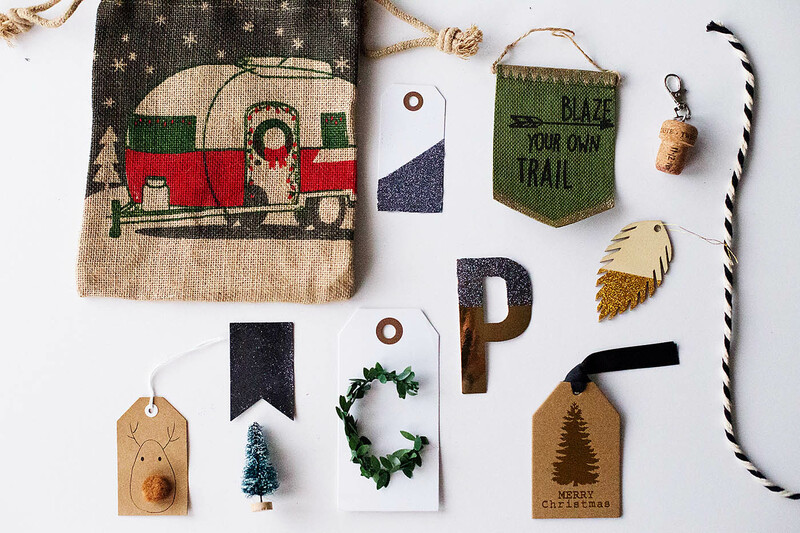 I always make gift tags cutting them out of last years Christmas cards.